Noone Transport knows that a 24/7 and 365 ability to deliver is the lifeblood of the retail sector. We seek to exceed customer expectations in the retail sector by providing the highest levels of import and export transport and logistics managers. Our drivers are a key component in maintaining our hard-earned retail sector reputation and so all our drivers are ADR and GDP-certified as well as being aviation security trained. We have independent trailer tracking on our entire fleet of euroliners, curtainsiders and secure box vans which allows us to perform every task from simple track and trace to extended EBS technical data. 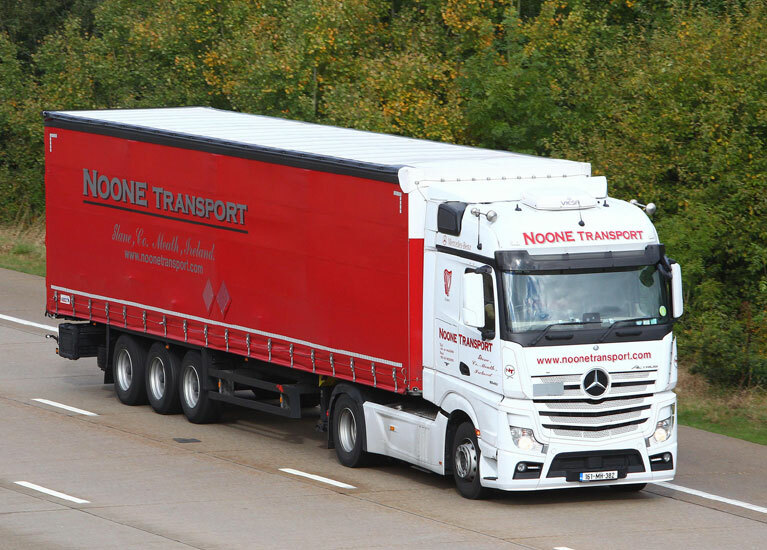 XPO Global Forwarding Ireland have worked with Noone Transport for over 10 years. As a family run business we find Noone Transport provide us with a reliable, efficient and professional transport service with a strong focus on customer service. The team at Noone are always friendly, courteous, and go above and beyond, meaning we trust them whole heartedly with our shipments. Their highly trained drivers always provide the right impression which has been paramount in allowing us to create lasting relationships and building our business year on year.